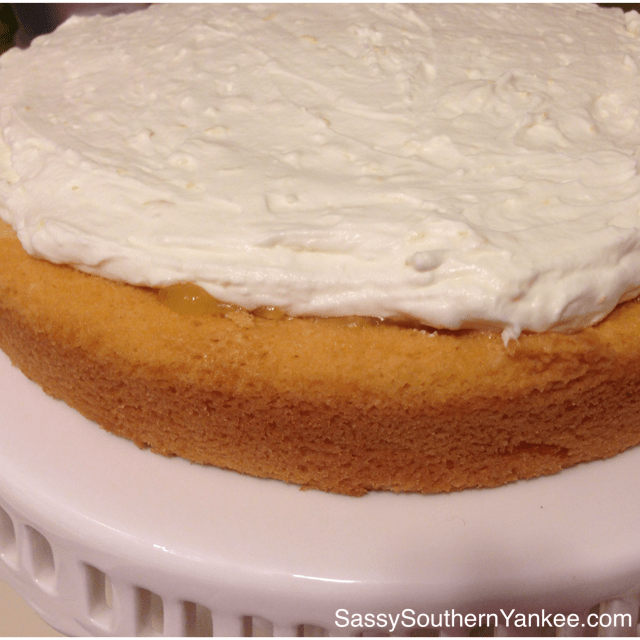 I made this limoncello cake gluten-free; however you can use any brand yellow cake mix you like. This dessert is about being simple, easy and delicious. Let’s face it we all have way too much going on during the holiday to worry about cooking. Heck you don’t even need to frost the whole thing if you want (see above) throw some mixed berries on it and call it a day. In a stand up mixer combine the cake mix, eggs, coconut oil, 2/3 Cup Limoncello, zest and juice of one lemon. Beat on high until light and fluffy or according to package directions. Pour the batter into two greased 8 or 9 inch rounds. If you aren’t GF than dust the pans with flour to help with the sticking. Bake in the oven according to package directions anywhere from 25-45 min depending on regular or GF cake. Remove from the oven and allow the cakes to cool. While those are cooling remove the cream cheese from the fridge and allow it to soften. To make the frosting in a large stand up mixer combine the softened cream cheese, lemon zest, lemon juice and powdered sugar beat until smooth. Transfer mixture to a small bowl and set aside. Next add the whipping cream to the mixing bowl and beat until soft peaks form (like making a pretend mohawk out of bubbles kind stand up, you know what I’m talking about). Then carefully fold the cream cheese mixture into the whipped cream. Once the cakes have cooled you can cut the top of the cakes off with a serrated knife to get them even. Evenly pour the remaining 1/3 Cup Limoncello over the tops of the cake. 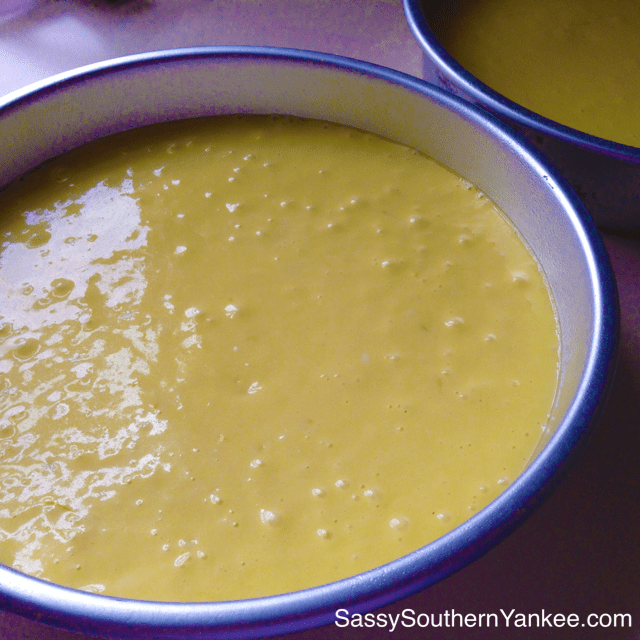 Next take the warmed lemon curd and smooth it over the top of each layer on the cut side (the cut sides with both be in the middle with the frosting so don’t worry about what they look like. 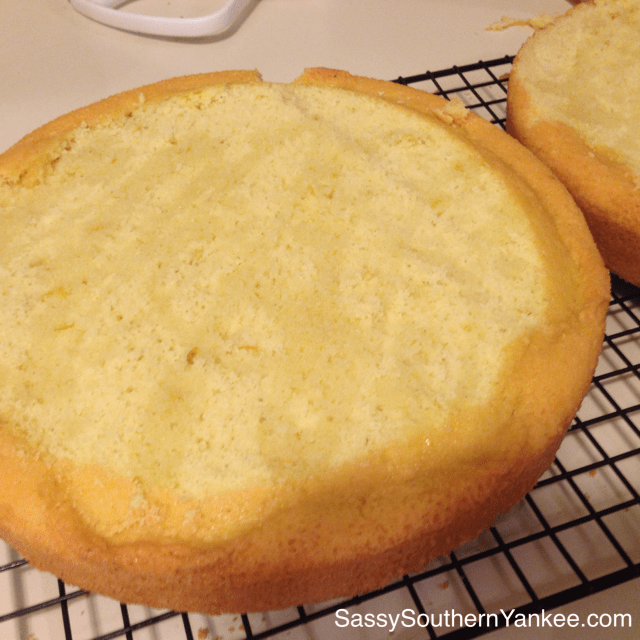 Place the first layer on a cake stand or plate with the limoncello/lemon curd side face up. Place a healthy dollop of Whipped cream frosting in the middle and smooth it around until its even. Place the remaining layer of cake on top of the 1st layer making sure that the limoncello/lemon curd side is facing down on top of the whipped cream frosting. Frost the top of the cake with the remaining frosting and if you want frost the sides as well (optional). To me there is something to be said the the half frosted cake. I like being able to see the bits of lemon zest. Place mixed berries on top for a burst of color and flavor. On a side note I’m not opposed to limoncello infused berries 😉 You can also add a bit of raspberry or strawberry jam for a pop of color and extra flavor. 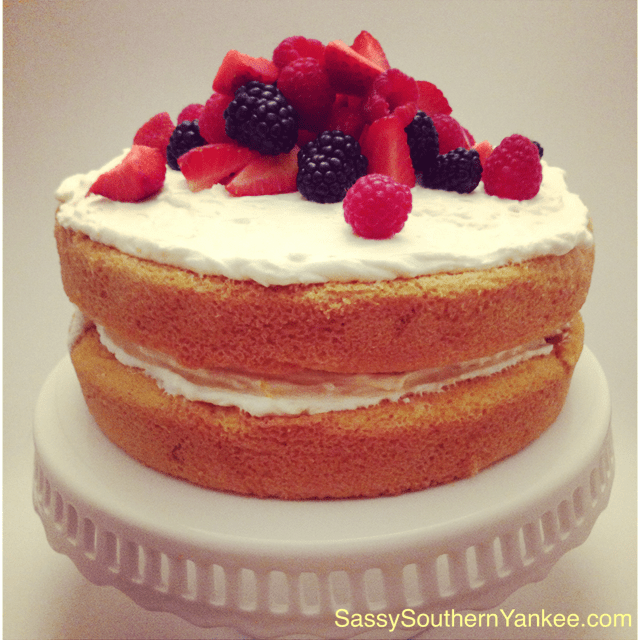 The perfect Limoncello cake for any summer event. In a stand up mixer combine the cake mix, eggs, coconut oil, ⅔ Cup Limoncello, zest and juice of one lemon. Beat on high until light and fluffy or according to package directions. Pour the batter into two greased 8 or 9 inch rounds. If you aren't GF than dust the pans with flour to help with the sticking. To make the frosting in a large stand up mixer combine the softened cream cheese, lemon zest, lemon juice and powdered sugar beat until smooth. Transfer mixture to a small bowl and set aside. Next add the whipping cream to the mixing bowl and beat until soft peaks form (like making a pretend mohawk out of bubbles kind stand up, you know what I'm talking about). Then carefully fold the cream cheese mixture into the whipped cream. Once the cakes have cooled you can cut the top of the cakes off with a serrated knife to get them even. Evenly pour the remaining ⅓ Cup Limoncello over the tops of the cake. Next take the warmed lemon curd and smooth it over the top of each layer on the cut side (the cut sides with both be in the middle with the frosting so don't worry about what they look like. 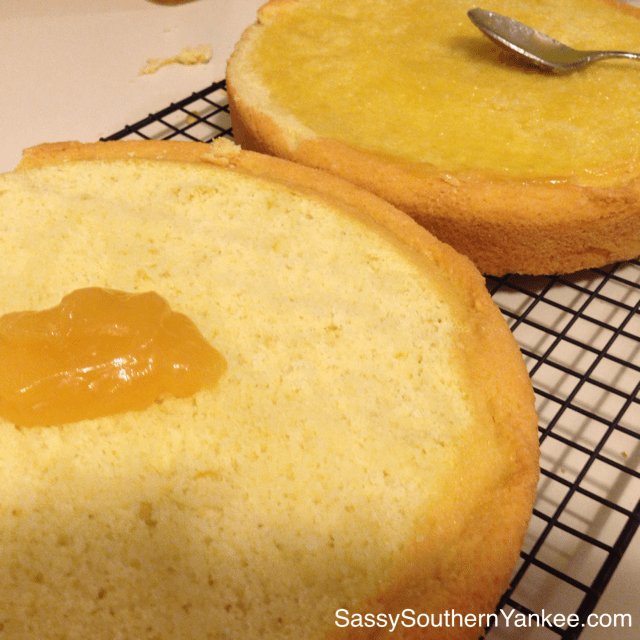 Place the first layer on a cake stand or plate with the limoncello/lemon curd side face up. Place a healthy dollop of Whipped cream frosting in the middle and smooth it around until its even. Place the remaining layer of cake on top of the 1st layer making sure that the limoncello/lemon curd side is facing down on top of the whipped cream frosting. Frost the top of the cake with the remaining frosting and if you want frost the sides as well (optional). Place mixed berries on top for a burst of color and flavor. You can also add a bit of raspberry or strawberry jam for a pop of color and extra flavor. 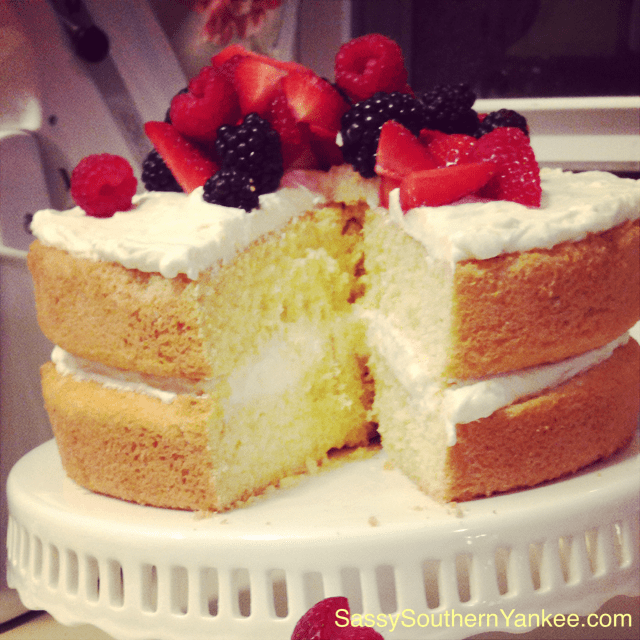 This entry was posted in Dessert and tagged Berries, Cake, Cream, Cream Cheese, Easter Dessert, Gluten Free, Gluten Free Recipe, Lemon, Lemon Cake, Lemon Dessert, Lemon Zest, limoncello, Limoncello Cake with Fresh Berries, Spring Dessert.